Business owners need to be reminded how important life insurance can be in long-term business planning. Business owners need to be reminded how important ife insurance can be in long-term business planning. All too frequently, the day-to-day concerns of running a company push vital business planning and big-picture strategic decisions to the back burner. 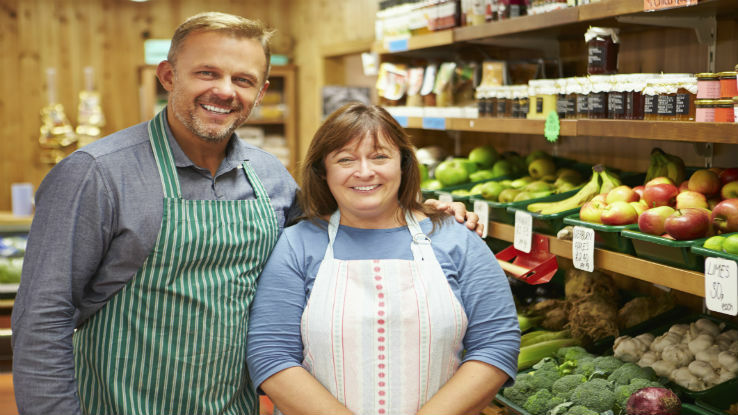 Indeed, two-thirds of business owners lack a formal succession plan, including 7 in 10 business owners over age 50, according to the 2014 U.S. Trust Insights on Wealth and Worth Survey from Bank of America Private Wealth Management. As much as business owners tend to focus on the seemingly more urgent near-term demands of running a company, sometimes they need to be reminded how important long-term business planning is and how valuable life insurance can be in that context. As a means to protect employers against the loss of key employees. For entities with more than one owner, such as partnerships, often the first order of business is protecting one another from the loss of one partner due to disability, death or retirement, says Hank N. Mulvihill, Jr., principal at Mulvihill Asset Management in Richardson, Texas. Here’s where advisors and their business owner clients often turn to buy-sell agreements underpinned with life insurance. In some cases, such as with professional firms (legal, engineering, consulting, dental, etc.) a group of partners or senior executives cross-insure one another. So if one of them dies, the remaining partners in the group use the tax-free proceeds to buy that person’s stake in the firm (rather than the stake transferring to the person’s heirs, whom the other owners may not want as a partner). Permanent life insurance also plays a large role in business succession planning, whereby the successor owners of a company are the beneficiaries of a policy that insures the life of the existing owner. When the existing owner dies, the successor owners use policy proceeds to acquire the company. Family-owned businesses often employ this type of maneuver, says Raymond Benton, principal of Benton & Associates in Denver, Colo. The aforementioned strategies most commonly involve permanent life insurance that is either owned by the partners or the entity itself. Universal life with fixed premiums tends to work best for companies seeking cost assurance, Mulvihill says. In other instances, a well-funded whole life policy makes sense. “If you’re looking for cash value to fund a retirement buy-sell agreement, it’s worth looking at a custom whole life contract or an over-funded universal life contract,” says Eisner. For businesses that are highly cyclical or otherwise prone to cash flow fluctuations, a UL policy with flexible premiums can make the most sense, she adds. Meanwhile, businesses that can’t afford to pay the premiums on a permanent policy might look to a more affordable term life policy. After business owners and/or partners protect themselves with buy-sell agreements, the next level of planning involves protecting the company from the loss of a key executive, such as a top revenue producer or a person who is otherwise indispensable to the organization because of their expertise, business connections, etc. Companies who have such a “key person” — an owner or otherwise — often purchase a life insurance policy on that person, so if he or she dies, the life insurance policy “provides capital to help stabilize the company and give it operating cash while it finds a replacement for that person,” says Benton. Life insurance is also a useful and highly tax-efficient tool for companies with an employee stock ownership plan (ESOP), Mulvihill points out. The company may purchase some form of permanent life insurance for key-person coverage to protect against the risk of the company not being able to cover its ESOP repurchase obligations. “After you take care of the risk with owners and key staff,” says Mulvihill, “then you go to the goodies” — bonuses and other forms of compensation built around life insurance. In a tightening labor market, it’s becoming more difficult for companies to attract and retain talent. Compensation programs built around life insurance are a potentially powerful way for small and mid-sized companies to compete for talent with larger, better-capitalized businesses. Life insurance also is often used to underpin other compensation packages, including a non-qualified deferred compensation plan such as a SERP (supplemental executive retirement plan) for key employees. In these arrangements, the employee purchases a permanent life insurance policy on his or her life and pays the premiums. The employer then pays the employee a bonus to cover (or exceed) the amount of the premium payments. The employee owns the policy, including the death benefit and any cash value that builds inside the contract. Sometimes, he adds, the life policies in these arrangements are structured as split-dollar contracts, whereby, over time, ownership of the policy transfers fully to the employee via periodic bonuses. These types of policies are also handy to have on the balance sheet, notes Mulvihill, since the company and the individual may be able to borrow against them. To further sweeten the compensation pot for top employees, he notes, a company might offer a hybrid form of life insurance policy that comes with a long-term care rider or feature that provides the policyholder with tax-free cash to cover long-term care expenses. “These are becoming very popular to retain top talent,” says Mulvihill. Entrepreneurs also often turn to life insurance as an estate-equalization vehicle. For example, says Mulvihill, in the case of a business owner who has multiple children but wants only one of them to inherit the company, the business owner may purchase a life insurance policy (usually a permanent policy such as UL), the proceeds of which would go to the child (or children) who aren’t inheriting the company. Given the complexity of tax regulations governing estate planning, compensation plans and other business applications for life insurance, Eisner recommends bringing a tax attorney along with a CPA into discussions involving these techniques. And since circumstances for a company and its owner(s) tend to change frequently, Eisner recommends reviewing your company’s life insurance needs and portfolio annually. As much as your entrepreneurial clients would rather be spending their time and energy dealing with the day-to-day stuff, they’ll thank you later for getting them to focus on long-term strategic issues that ultimately could make or break their business.